If you ask someone to name a traditional British cake it's highly likely that they'll say a Victoria Sponge. 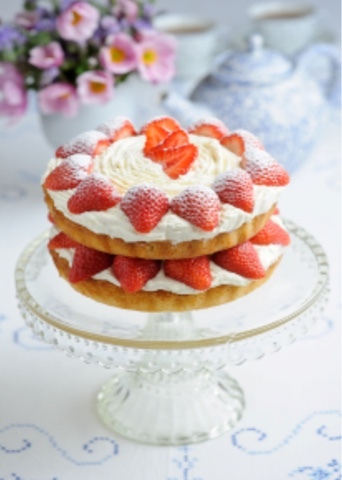 So as it's British Food Fortnight we thought we'd share this recipe from www.berryworld.com - their version of the classic Victoria sponge looks amazing! Named after Queen Victoria herself, there are few cakes that can beat this all-time classic recipe. You can spread strawberry jam (turning it into a jam sponge) or whipped vanilla cream on the base of one sponge cake as a filling, or both. Pre-heat the oven to 180°C. Butter and line two 18 cm sandwich tins with baking parchment. Cool the sponge cakes on a wire rack. Hull the strawberries and slice them in half. Whip the cream till quite stiff, mix in the icing sugar and the vanilla.